We pride ourselves on delivering the highest standards of care to all our residents, in a relaxed and friendly way. We aim to keep people independent, and give them the confidence to make the most of living here. Making a decision to live in a residential care home can be a difficult time, but we aim to help and support residents, family and friends through this transition, and provide on-going quality care thereafter. Wherever practical, we encourage any potential new resident to come for a short holiday stay to assist with the decision making process. This allows time to see if the service we provide meets the person's needs and expectations before a final decision is made. As a residential care home we offer assistance with personal care, such as washing, dressing, bathing or showering. We can assist with getting up in the morning and going to bed at night, at a time which suits you. We can help with continence care, medical issues, medication administration and meal times. A deterioration in physical health or mobility, often caused by illness or a fall. To plan for the future and ensure a safe place for whatever the future may bring. Many older people suffer with loneliness or anxiety and decide they would prefer to live in a friendly community environment where they can enjoy the company of others. To relieve boredom and regain quality of life, which can be lost when the physical impairments of older age restrict your ability to socialise. Many of our residents come to us because their home care visits do not provide the level of reassurance that is offered by around the clock care. We have staff on duty 24 hours a day, 7 days a week. Staff are available to deal with any issues and requirements, night or day. Access to a call bell system to alert staff in case of an emergency, such as a fall or chest pains. Staff are trained and experienced in First Aid. All of our rooms are single occupancy (other than our double rooms for couples) and your own room can be be personalised with your furniture, pictures and ornaments. All bedrooms have their own en-suite facilities, some with showers or baths. Home cooked and nutritionally balanced meals, to tempt every appetite. Specialised menus can be arranged for individual dietary requirements and our food is freshly cooked and locally sourced, much of it from our own garden. Your family can have the peace of mind that you are being taken care of in a safe and loving environment. Family and friends are welcome to visit the home at any time or join you for meals or activities. 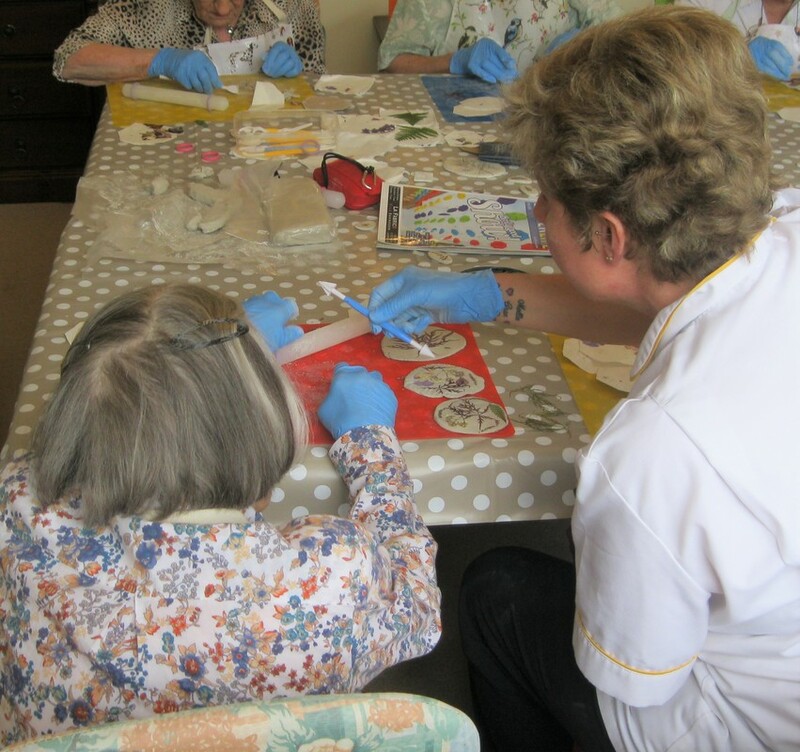 A full and comprehensive activities program provides stimulation, companionship and fitness, with plenty of opportunity for group activities and one to one enabling time. We can help you to remain independent with your medication administration or we can administer your medications for you. Fees are inclusive of household bills and upkeep, food and drink, activities, housekeeping and care so there are no worries about unexpected bills. We have a dedicated housekeeping team who ensure excellent living conditions, cleanliness is maintained within a homely and comfortable environment. The home is kept safe, warm and clean. At The Old Vicarage, we value diversity and ensure inclusion. We make sure that people are looked after in the way that they wish, regardless of age, disability, gender, race, culture or sexual orientation. We ensure that our staff are trained in non-discriminatory practice and that we are able to protect people from prejudiced or institutionalised practices. We ensure that our care looks at the ‘whole’ person, their likes, dislikes, personality and beliefs. 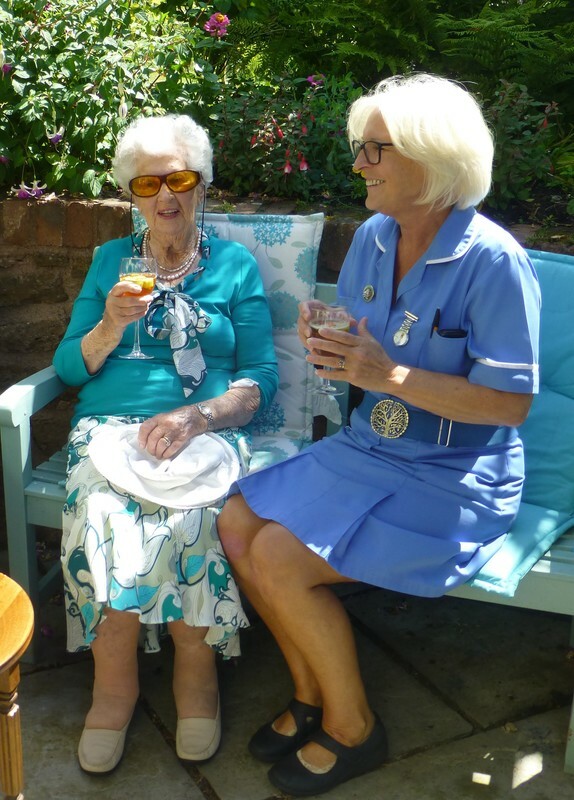 Most of our residents stay with us long term but we do also offer respite care, post operative care and short stay holidays for those who wish to relax and be looked after for a while. "Everybody is excellent, I just ring the bell and someone is here, it is comforting, that is why you are here, I feel safe."